I will not be responsible for smashed screens, bricked phones or any other things that you can accuse me of, i've done this tool to help people, use it at your own risk and hit THANKS if you use it and like it. - Show you the code needed for HTCdev Site. - Flash CWM 6.0.2.7 by Lexmazter (OFFICIAL) - All HBoots -Touch. - Flash Official TWRP 2.3.2.3 - All HBoots - Touch. - Make logfiles - logcat/dmesg. - Fancy reboot your device . Q: What should i do before using this tool? Before using this, make sure you have the drivers for your HTC Sensation XL, for this you need to download this, install it and after that unninstall it, but without drivers, there will be an option to keep the drivers! 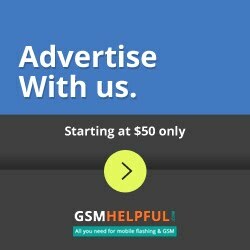 Q: What do i need to do in order to install a custom ROM? 2.Flash a recovery according to your hboot. 3.Root using the permanent root solution flashed via recovery, found here. 4.Flash S-OFF Hboot from unlimited.io. 5.Flash custom ROM with no problems via recovery. All those things are found and can be done via this tool. Q: Hi, i just downloaded this tool, how do i use it? First, extract the folder of the archive in the root of some partition, example above and somewhere below. After that, run XLMultiTool vX.X.bat on windows and LXLMultiToolvX.X.sh on linux. Q: I see you talk about some XLMultiTool vX.X, is that an eXtreme edition or something? No, vX.X will be replaced with the version from the title of the thread, this is made like this to keep things clean over future updates, so there will be no need to change things all around the thread after each update. Q: Hi, i just bought a phone what should i do now? Well, you firstly need to unlock your bootloader, just go to HTCdev.com and follow the instructions to unlock your bootloader. Well, you can pretty much use google for that answer, but to put it short, is that thingy that tells you what is happening behind the scenes of your phone. It is usually used for debugging and entertaiment(?). When you report an error/bug to somebody, it will be a blessing to provide a logcat (logfile)! Q: Hi, i have an unlocked bootloader, what should i do now? Q: What is a Custom Recovery and why do i need one? A custom recovery is that thingy that let's you flash .zip files, use your logic and you wil get it why you need one. (What version you need depends on your Hboot version 1.25 or 1.28 and preference - touch or classic). Q: Why on Earth should i S-OFF my phone?? Because it is easier to flash custom ROMs, every official RUU available out there, any RADIO version and so on. Q:There are others guides/tutorials out there, should i check them instead of this? Q: How do i root? You need to flash via Recovery the zip found here. Q: How to use your tool to S-OFF? Q: What is the best HBOOT version out there? Doesn't matter, does the same thing, but note that some ROM's don't have support for both HBOOTs and then you will need to flash the sdcard_fix.zip found up and down the thread. Q: Why should i change my RADIO version? Because some have reported that there is a better battery life on the GB-based Radio and a better signal too, test it for yourself, but you MUST be S-OFF in order to do this, and if you don't like it, you can always go back using this tool by flashing the different version. 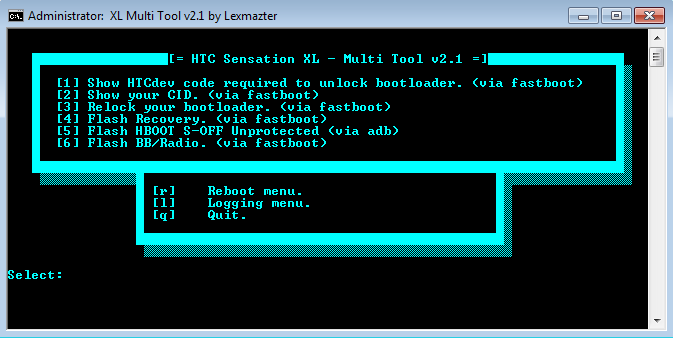 Q: What kind of HBoot's are provided in the tool? All the hboot's are from unlimited.io and are the unprotected versions, as those can be overwritten by RUU's. Q: I use the Touch Recovery 5.8.3.1 for ICS but where is mount usb?? There is no Mount USB for Touch Recovery for ICS, so, in order to get things to the SD partition from the recovery use QtADB. Q: I just flashed a ROM and my SDcard is around 256kb, or not recognised at all, what to do???? Flash this .zip via Recovery. v2.1 - 30 January 2013 - Updated the Linux Version with all the features untill now. v2.1 - 15 January 2013 - Added the official touch CWM 6.0.2.7 in the place of 6.0.1.2 + Dmesg logging + Fixed the " " space folders issue. v2.0 - 18 December 2012 - Added my ported version of CWM 6.0.1.2 (support for all HBoots) + Added Official TWRP 2.3.2.3 flashing option. v1.7lin - 22 October 2012 - Added LINUX/UNIX support! v1.7 - 18 October 2012 - Added Touch Recovery for ICS + Multi menus in the tool. v1.6 - 16 October 2012 - Added Radio Flashing. v1.5 - 25 September 2012 - Fixed S-OFF flashing issue that freezed at #. v1.4 - 15 September 2012 - Changed the look and feel, nothing new to functionality. v1.3 - 2 September 2012 - Second public release providing a functionality fix (Error: Could not locate ?/XLMultiTool), informative fix (shows how are flashed fastboot/adb), added Bootloader Relocking and rebooting into bootloader (via adb). v1.0 - 1 September 2012 - First public release, providing recovery (GB/ICS) flashing, hboots s-off flashing, htcdev.com code provider, cid getter.